Edo State Governor, Mr. Godwin Obaseki, has assured of the state government’s preparedness to put up a world-class event with the upcoming edition of the Okpekpe Road Race billed to hold on May 12. The governor, who noted that adequate preparation has been made to ensure visitors to the state have the best of time, stressed that the new security architecture put in place by his administration will provide a soothing atmosphere for local and international athletes to compete for the star prizes. According to him, “As a silver-label International Association of Athletics Federations (IAAF) event, we are putting all structures in place to ensure we have a successful event. “It is noteworthy that the Okpekpe road race has become the toast of sponsors, who have all lined up behind the promoters of the event. This is a confirmation of the growing profile of the event and the increased visibility it has brought to the state. We will continue to provide the structures to sustain this trend and even provide more avenues for the state to exploit the benefits of its rich topography and sports talent,” he said. Obaseki assured that, following the commitment to ensure the event meets international standard, the state government will ensure that all necessary support structures required for the successful hosting of the event are provided. “The Okpekpe race for us, comes with a lot of benefits and we want to ensure that our people tap from these offerings. The sports event has opened the state up for sports tourism and our people now have an opportunity to benefit from the ancillary activities that come with this kind of competition,” Obaseki added. The Okpekpe road race is open to world-class runners and presents a mix of activities for recreational and professional runners. 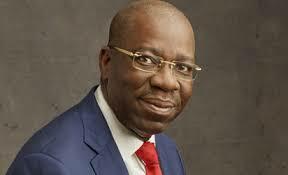 The race starts from Apana Road and ends in Okpekpe, Edo State. Participating athletes often hail from Nigeria, Kenya, Eritrea, Ethiopia, Uganda, Morocco, Israel, Bahrain, Morocco and Nigeria. The invitation is extended to all Confederation of African Athletics (CAA) member federations. The military and para-military have sent in entries.